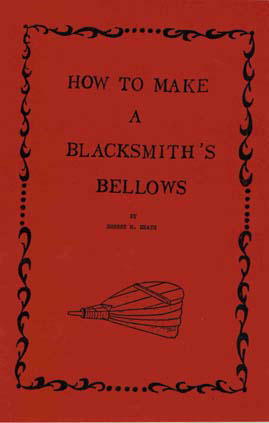 A wonderful how-to book with the entire process of making a bellows. Contains over 40 illustrations with text to help guide the reader through the process. Heath describes how to make a traditional two chambered leather bellows that is about five feet in length. The bellows described is one that was disassembled at the Agricultural Museum in Jackson, Mississippi and rebuilt. Details of how to set one up, how to balance it and lever the lower bag are presented as are exact dimensions.